Copyright (c) – Mobile Fidelity Sound Lab, Inc. Published By – Curtom Publishing Co., Inc.
℗ 1972 & 2018 Rhino Entertainment Company. Produced under license from Rhino Entertainment Company. Manufactured by Rhino Entertainment Company, a Warner Music Group Company. © 2018 Mobile Fidelity Sound Lab®, Inc. I love this pressing, and the remaster for that matter. 45RPM gives this record room to breath like it has never done before. I have owned original Curtom, and remember it sounding kinda dull. Perfect job by MoFi, yet again! 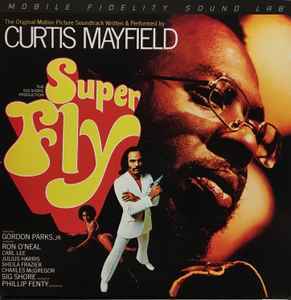 Curtis Mayfield`s first two albums "Curtis" and "Roots" with the same treatment, would be more than perfect! I am not a fan of this remaster at all. The cymbals are so far forward in the mix it can be unbearable at times. Also, the ride or high hat depending on the track only comes out of one channel. The result is obnoxious, fatiguing, and makes the opposite speaker sound dead, giving it miserable soundstaging. A fail by MOFI on this one.